North Down MLA, Cllr Peter Weir was the Guest Speaker at the December Association Meeting of the DUA. 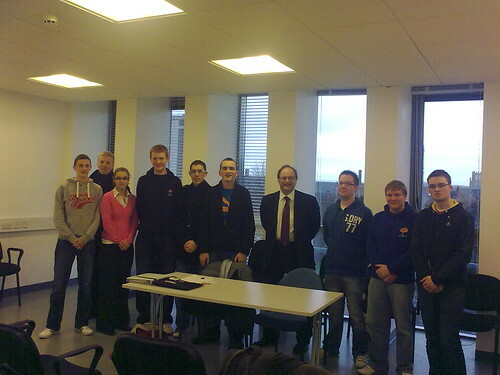 The Meeting was held on Wednesday 2nd December 2009 in the Queen’s Students Union. There was a good crowd in attendance with many new members very interested in the precedings, with many particularly enjoying the Question and Answer session.